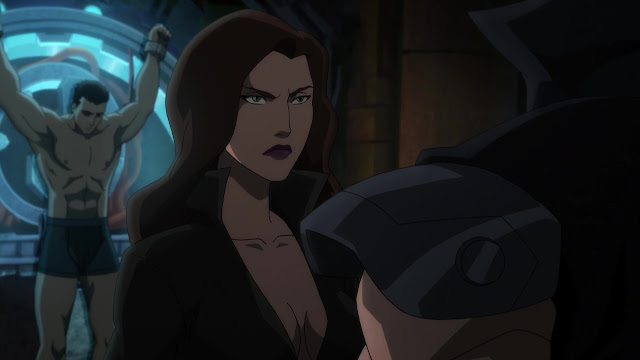 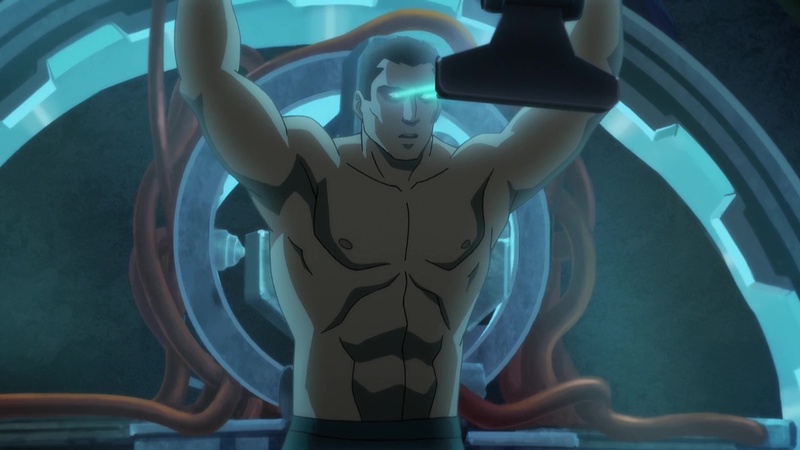 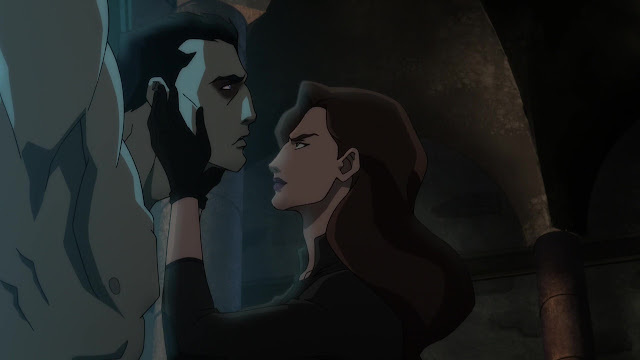 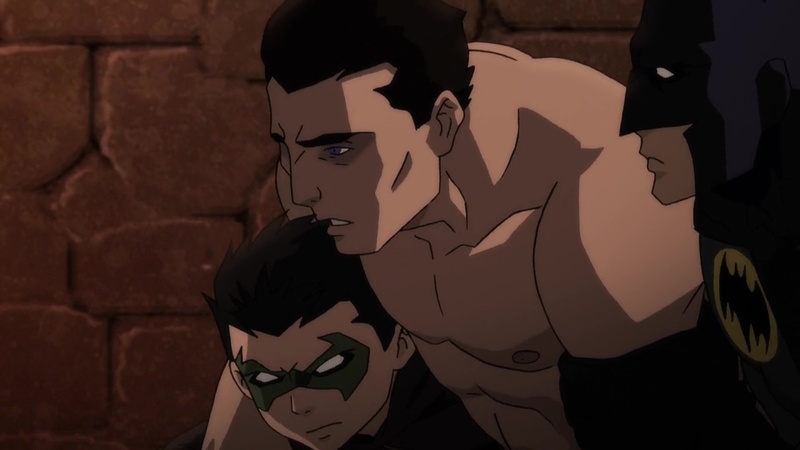 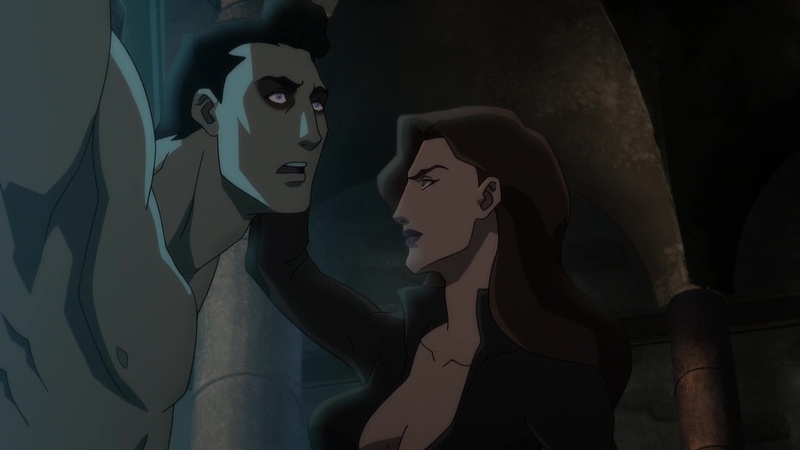 In the latest DC Universe Animated Original Movie, Batman: Bad Blood Bruce has been captured by Talia Al Ghul to brainwash him. 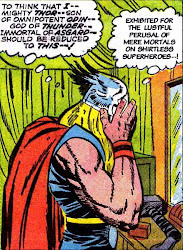 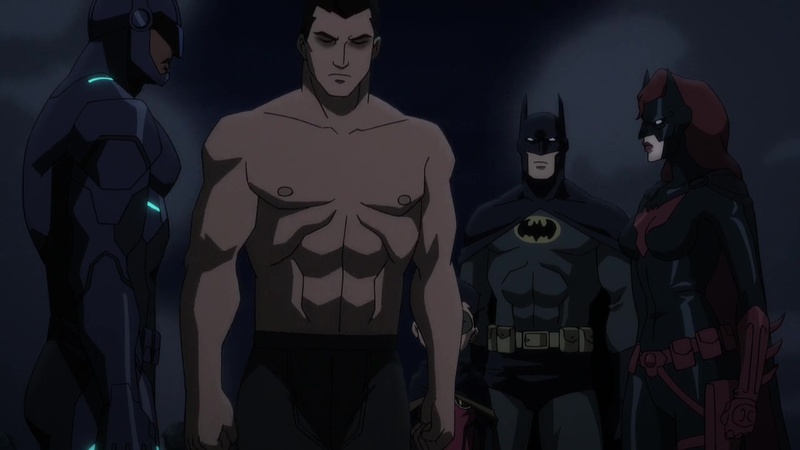 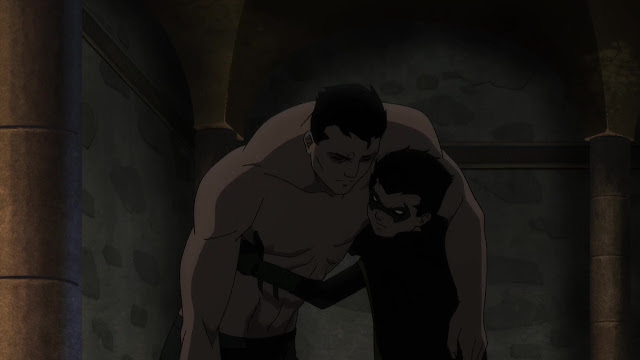 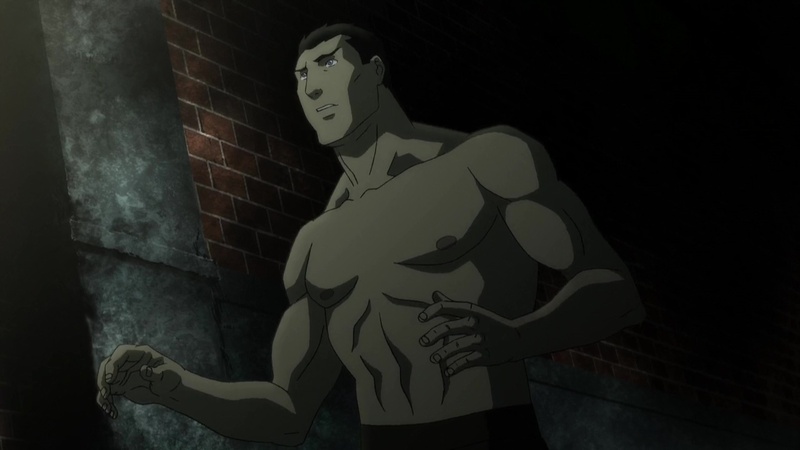 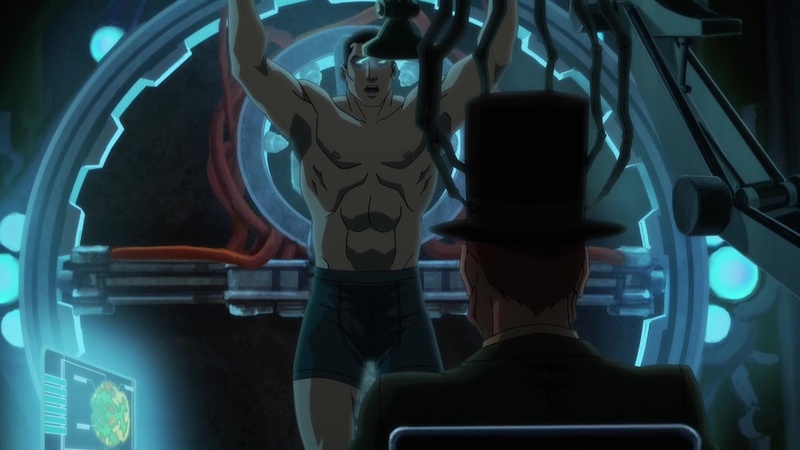 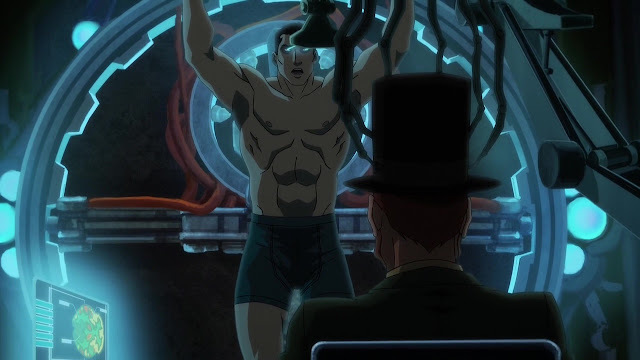 And like all good Al Ghul stories, Bruce is stripped of his shirt. 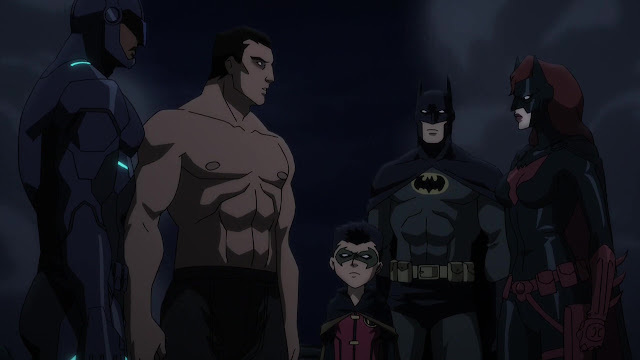 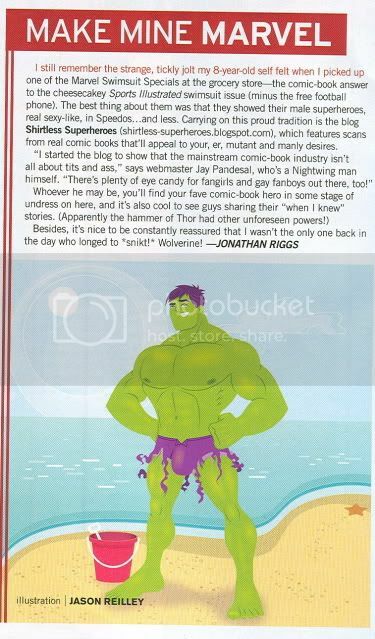 Actually, Talia seems to one up he father since she also took his pants. 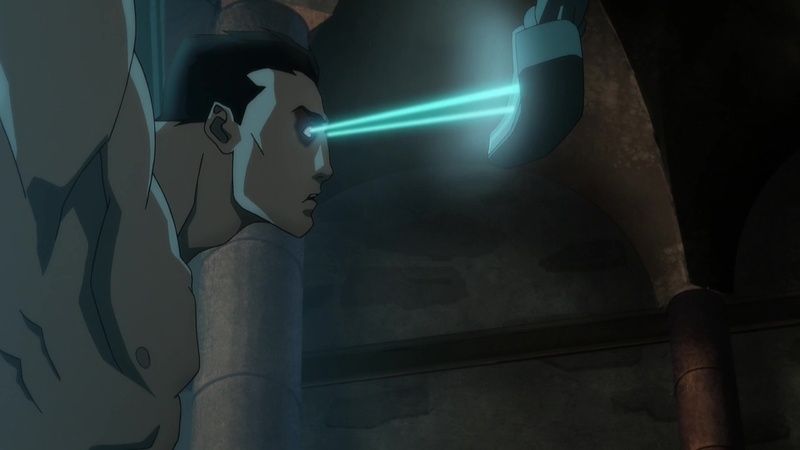 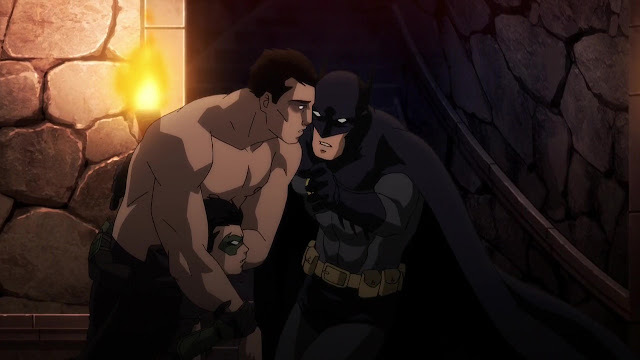 Bruce spends much of his screentime in just his undies.